DronesInsite was created for you, the drone expert, the drone beginner, the professional photographer, the amateur videographer, the hobbyist. 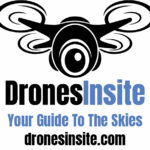 This site is for all different drone flyers, catering to any and all information you need regarding drones. We want you to have every arsenal of drone information at your fingertips. Whether you are looking for your first drone, wanting to upgrade to a more advanced drone, for business use or pleasure. We review the best drones on the market, so you don’t have to.